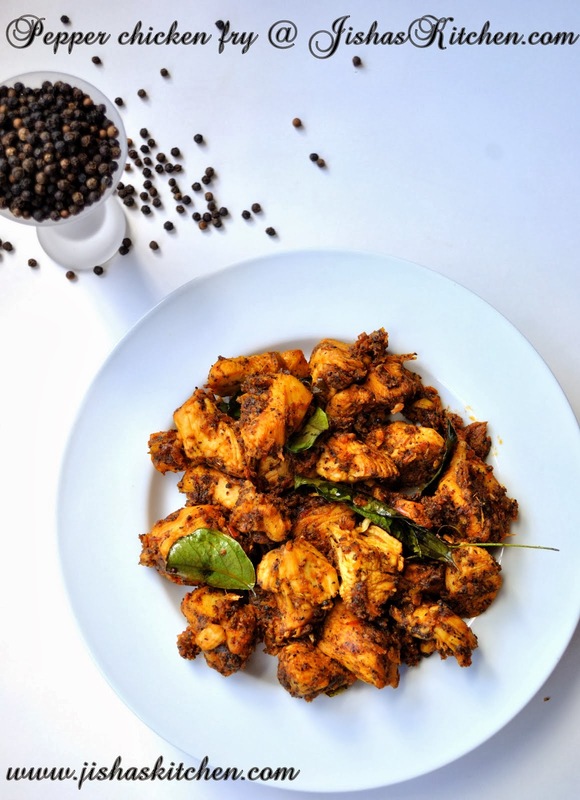 Today I am sharing the recipe of vazhakka curry which is very easy to prepare and goes very well with rice. 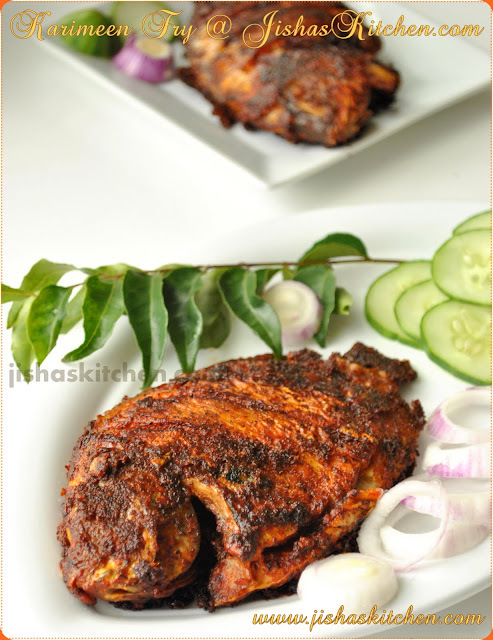 Grind grated coconut, shallots, coriander powder and red chilly powder to a fine paste by adding about 1/4 cup of water. Wash and cut both the ends of the plantain and then peel the skin off and slice it to medium size pieces. Then cook covered the plantain pieces by adding about 1 cup of water along with turmeric powder, green chillies and salt for about 10-15 in a medium flame. Then add ground coconut mix to the plantain along with tamarind paste. Then lower the flame and simmer till gravy thickens. Then finally add curry leaves and oil and remove from the flame. Recipe Courtesy : Vanitha Magazine. This one looks easy and tasty curry. Love anything with plantains. 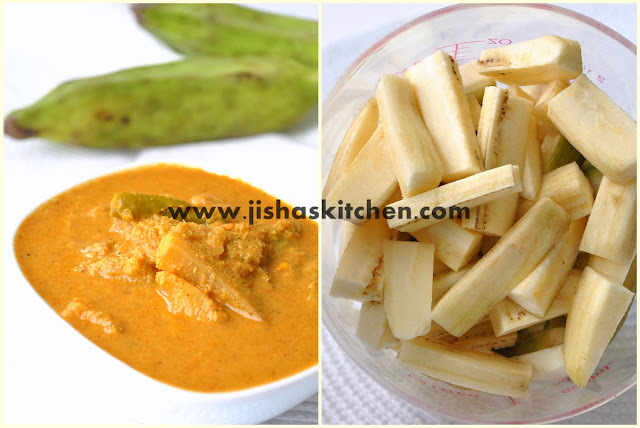 looks yummy Jisha....would be perfect with some hot chapathis in this cold weather! I'm always looking out for plantain recipes. Love the look of this one. Bookmarked! What a great idea and this looks very tasty!!!! Colorful and delicious curry..Would love to have it with rice! Curry looks delicious and lovely. 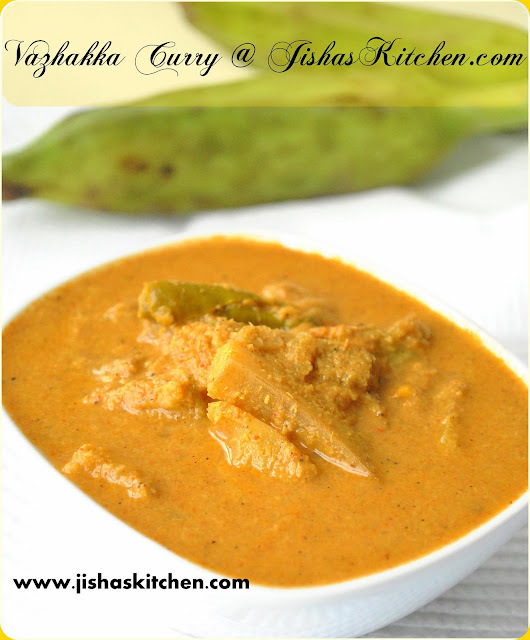 This curry is a real treat with steamed rice & papad..!!! This sounds new and interesting .Would like to give it a shot . Beautiful color and looks so yummy! Nice version of vazhakkai curry,sounds real awesome! Ethu ente favorite aa, adipoli aayitundu. loved ur version Jisha..must try this one.. This curry looks easy to prepare and yumm. not my fav vegetable but the pic looks so yum ! 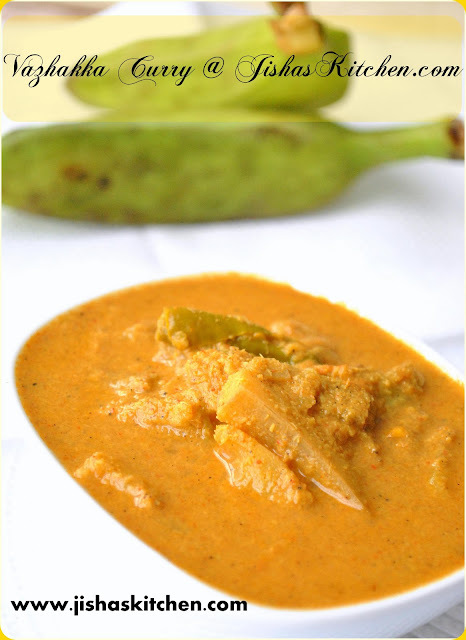 wow thats looks easy n tasty curry,..neva tried making curry wth plaintain..only had make as side dish!